So, what do parents do if they suspect their underage child is using alcohol? 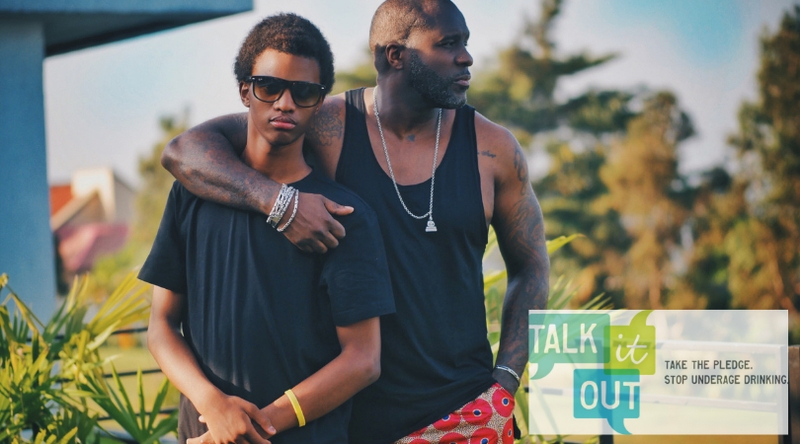 Talk It Out’s community education and outreach program helps parents give their kids a way to steer clear of teen alcohol use. Talk It Out urges parents to start the conversation about teen alcohol use before it becomes an issue — usually before they enter high school. In fact, about 10% of 12-year-olds in North Carolina admit to trying alcohol. That number climbs to 50% by age 15. The goal is to meet your teen where he or she is and work together to prevent the problem before it starts — or solve it, with love, as a family. Some of these behaviors are normal teenage rites of passage — sleeping longer, irritability, emotions out of control. It’s when they are pronounced, extreme or repetitive that parents should take note and investigate further. Parents have several options if they suspect teenage alcohol use in their home. First, have an “eye-to-eye/heart-to-heart” conversation to see if the teen admits to needing help. Once it’s confirmed that the teenager is using alcohol, counselors recommend seeking medical attention to determine if a detoxification program is necessary. After that, schedule follow-up treatment — either individual or group therapy — to educate the teen about the effects of alcohol on the adolescent brain, help them understand the dangers of underage drinking and let them know that they’re not in this alone. Here are more resources on what to do if you suspect your teenager is drinking. While the teenager undergoes treatment, we have tools to help parents prevent future alcohol use. Talk It Out suggests the whole family Take the Pledge to keep kids free from alcohol use by clicking here or opting in by text. Parents from any state in the U.S. can choose either the parent or the conversation starters text campaign, while teens can opt into the teen text campaign. I will set a healthy example regarding alcohol. I promise not to punish my teen for calling if they feel unsafe. I agree to opt-in to receive tips, information and updates from Talk It Out. I will initiate conversations about the dangers of underage drinking with my teen. I won’t drive or let anyone drive me if they have been drinking. I will call for help if I am in an uncomfortable situation – no questions asked. I will have regular conversations with my parent about not drinking. The parent text campaign provides helpful tips on how and when to talk to your teens about the dangers of drinking underage, identifying if your teens have been drinking, and ideas on how to handle conversations with your teens if they have tried alcohol. To opt-in, text ‘parent Your First Name’ to (919) 404-7013 (example: parent John). The teen text campaign can help teens navigate situations where alcohol may be present and offers tips on how to make smart choices when it comes to the dangers of underage drinking. To opt-in, text ‘teen Your First Name’ to (919) 404-7013 (example: teen Josh). The conversation starters text campaign offers monthly icebreakers and prompts on how to start a conversation with your teen on underage drinking. To opt-in text ‘starters Your First Name’ to (919) 404-7013 (example: starters Mary). Ending underage drinking starts with noticing it happening. Watch out for the signs of underage alcohol use in your home and take the pledge to Talk It Out with your teen today.